I joined BSA architects leading as a design consultant on the Alpensia Project; We are asked to design various types of residential villas along the 27 hole championship golf course located at the base of the Winter Olympic Village. More than $1.4 billion was spent preparing Pyeongchang for unsuccessful bids for the 2010 and 2014 winter games. Seven venues were built, and two of them -- for curling and snowboarding -- need upgrades for the 2018 Olympics. The centerpiece of the forthcoming plan is a 113-kilometer train connecting Wonju with Pyeongchang and Gangneung. The existing railroad bypasses Pyeongchang, so travelers from Seoul must get off at Wonju and take a bus the rest of the way. That journey takes about two hours. The new train, which can travel at speeds up to 250 kilometers per hour, will cut that to 68 minutes, according to the IOC’s bid assessment. Going to Gangneung will take another 12 minutes. Construction could start later this year, with completion scheduled for 2017. South Korea has embarked on an 88 trillion-won plan this decade to extend passenger and cargo networks by 39 percent to 4,934 kilometers. About 16 trillion won is for high-speed trains, including the Olympic line and another linking Seoul with Mokpo to the south. Existing service between Incheon Airport and Seoul will be upgraded so Olympic visitors can take one high-speed train all the way from the airport to the venues. The government plans to move about 27 percent of the population by trains by 2020, compared with 16 percent now. The percentage of cargo moving by rail would increase to about 19 percent from the current 8 percent. 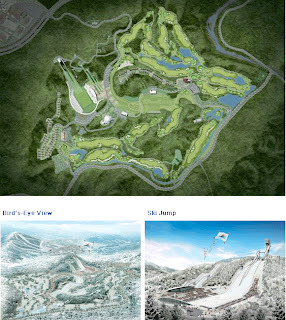 The $1.8 Billion project of the Alpensia Resort- whose names combines the Alps and Asia, conveying the province's ambition to become a popular winter sports venue in Asia like the European mountainous region is located in PyeongChang, 187 kilometers of Seoul. 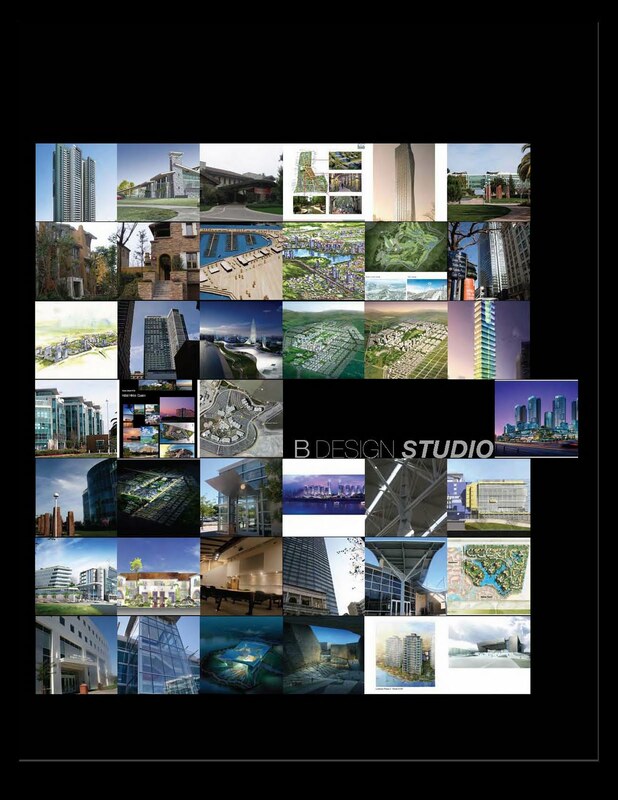 Architect EDAW/Gensler. The planning goal is to provide visitors and customers with world class vacation homes along the prime fairways. The 400 high-end residential units to be developed along the 27 holes course designed by Robert Trent Jones and manged by Troon Golf. Alpensia will feature a hotel and golf country club.